The River Wandle, which runs through central London, went from a haven for brown trout where the disabled Lord Nelson tossed a line in the early 1800s, to an officially declared “open sewer” by the 1960s. Now, thanks to vastly improved water quality, trout actually spawn again in the river. A £2 million award from the Heritage Lottery Fund’s Landscape Partnership Scheme means that the river literally won the lottery in June. And much closer to home is Denver’s South Platte, covered extensively by the Fly Carpin‘ blog. Environmental scientist John Novick told the Denver Post this summer “the city has a stated goal of improving water quality for all streams and lakes so they’re fishable and swimmable. We’ve got some issues with elevated background levels of arsenic, and fish are pretty sensitive to arsenic. It’s not a level that’s harmful to human health.” Denver has banned urban camping, an issue that affects cities nationally, a social justice issue with consequences for water quality. Meanwhile, the Environmental Protection Agency is funding the new Urban Waters Small Grants to improve water quality, and will award grants of $40,000-$60,000 up to $1.6 million, according to its website. 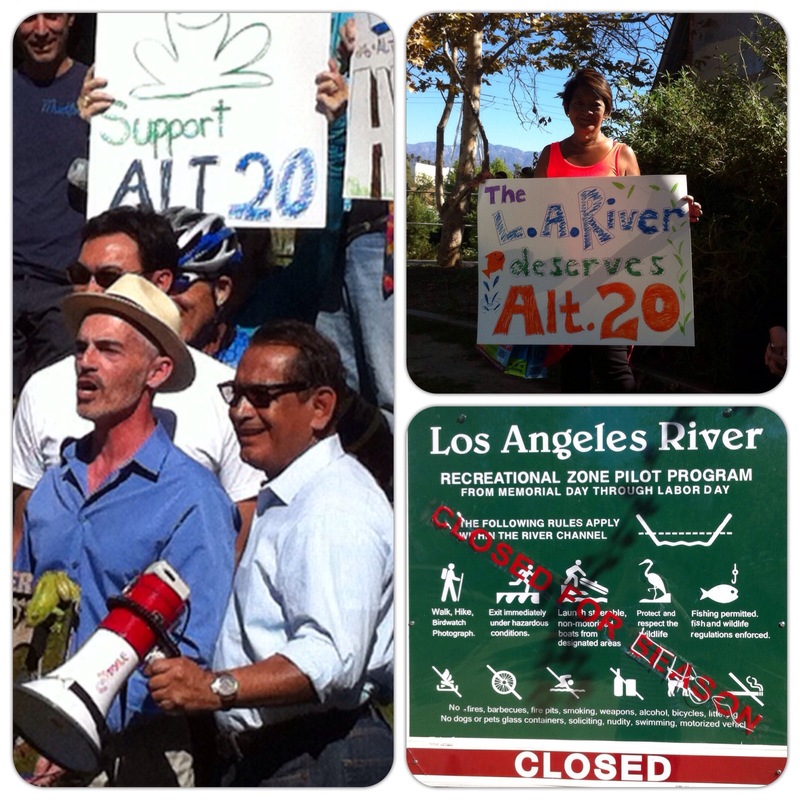 The Los Angeles River watershed is one of 18 eligible geographic areas. The deadline is Nov. 25.